LeEco's Super3 EcoTVs grab the No.1 Spot in TV Industry on its 1st pre-sale itself. Recently LeEco bought VIZIO; It's a company well known when it comes to TV's globally. So that's how initially LeEco planned to enter the TV or the entertainment industry on a much broader level across India. LeEco has had quite a remarkable success when it comes to expansion as a Chinese Brand in India considering the time factor. After the successful launch of Le 1S, the company's been on a mission of organizing various events across India and launching several devices. Whereas LeEco Le 2 & Le Max 2 are currently their latest devices. 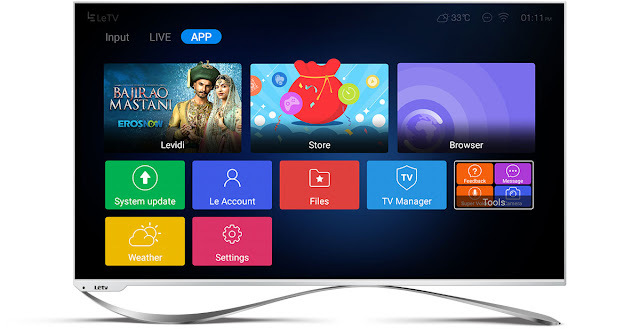 So after having such a significant impact and after building an active community, LeEco planned to enter the entertainment industry in the form of Television sets by introducing Super 3 smart series EcoTVs powered by Android. According to LeEco, they have managed to get the top spot in India's television industry within a day. They retain the 1st place when it comes to a 55inch TV category, So initially within a single day of pre-registrations they've managed to stand on this spot. This also stands as a high point in stating that there's a huge opportunity for Manufacturers planning to enter the smart TV market rather than heading towards the saturated Smartphone market. Coupled with Android at its core, LeEco provides several services geared towards their ecosystem. If you've used a LeEco smartphone, you will feel at home here. So the new LeEco Super3 set of EcoTV's consists of Super3 Max65 which has an integrated 3D panel, then there is the SuperX65 & Super3 X55. All of these three series were launched last week. While the pre-registration sales process has already begun from 10th August. The sales will be up until 12th August available both on Flipkart as well as LeMall. If you buy any of these TV Sets during the pre-sale offer, you're entitled to get several prizes, such as Rs.5000 Cashback on HDFC credit cards & EMI options. This new Super3 EcoTV series by LeEco offers a sturdy full metal built, 4K Ultra HD display & It comes with LeEco's eUI 5.5 built on top of Android. It comes preloaded with LeEco's content curation platform which includes Levidi, LIVE app, LeView & Panosearch. Just like the LeEco Smartphones(1 year), the Super TV's also come equipped with two years of LeEco membership worth Rs. 9,800(which is included in the TV cost, initially free). LeEco says that the pricing that they have finalized for these Super3 EcoTVs will disrupt the Indian Market regarding the competition. 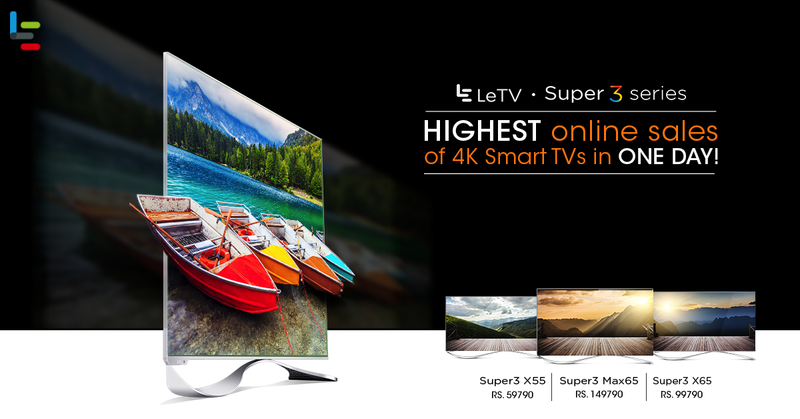 The Super3 X55 which is 55-inch TV is priced at Rs.59,790, while Super3 X65 the 65-inch variant has been priced at Rs.99,790 and lastly the Super3 Max65 has been priced at Rs.149,790. So if you're considering buying a new TV set, make sure you have got a look at these TV sets by LeEco. They come with the latest processors needed to decode digital signals currently, and they're future ready.